According to a survey conducted by the Sutton Trust, English is the second most commonly tutored subject in the UK (55% of tutored students are tutored in English). If you’re thinking of taking up tuition as a full-time career, or simply want to earn some extra money in the evenings and on weekends, then tutoring English can be a very fulfilling experience. With English being a core academic subject in schools, there is always demand for English tutors, especially at GCSE and A-Level, where English Literature is a perennially popular choice. In this post, we provide advice on how to become an English tutor. You might be surprised to discover that you don’t need any specific qualifications to work as an English tutor in the UK. As most tutors are self-employed (even if they work for agencies), it’s the client’s decision as to how qualified you should be as their tutor. This being said, the more qualified you are, the more valuable you’ll appear to potential tutees. As an English tutor, a qualification such as A-Level English Language or Literature, and even more so an English degree, will make you stand out as a qualified tutor. Beyond your qualifications, being widely read and having a strong grasp of the essential areas of the English language such as grammar and writing style, will ensure you have the right skills to teach students of varying levels. Finally, although it isn’t a legal requirement, you might want to consider obtaining a Disclosure and Barring Service (DBS) certificate, particularly if you intend on tutoring students under the age of 18. 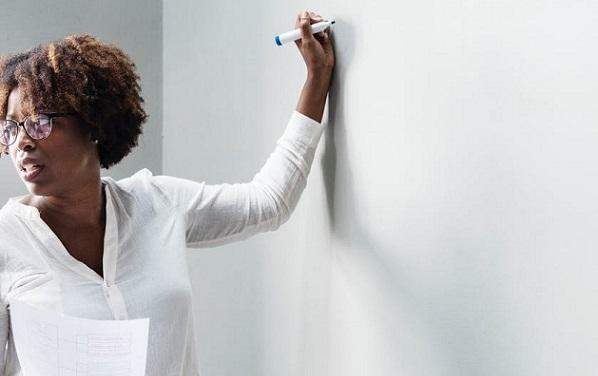 Adaptable Teaching Style – As an English tutor, it’s likely that you’ll be teaching students of all ages and abilities, so you’ll need to be able to communicate effectively with a wide range of people. Every student will have their own learning style - for example some will be visual learners, whilst others may be more auditory – so you’ll need to be able to adapt your teaching style to each student. One-To-One Teaching Skills – As a tutor, you’ll need to be able to give your full attention to one student, or a small group of students, for the entirety of a lesson. Your teaching style will need to be friendly and fair, and positive without over-praising your student. These skills are key for both online and in-person tuition. Business Knowledge – When you become an English tutor, you’ll automatically become a business owner – whether as a sole trader or a limited company. It’s therefore crucial that you familiarise yourself with the tax system and marketing best practices. There are many resources, such as accountants and local council business advisors, who can help you with these areas. As an English tutor, the principal demand for your services will come from GCSE and A-Level students. Beyond this, you may have the opportunity to tutor students not yet in their exam years, or university students. You can decide to specialise in tutoring any one of these groups of students, or you can choose to teach all levels or learners. Should you wish to expand your tutoring career, you could also consider becoming an English as a Foreign Language tutor. When starting out as an English tutor, deciding how much to charge for your services can be tricky. If you do a Google search for English tutors, you’ll find that rates can vary from £18 per hour, up to £75 per hour and above. While there is no industry-wide standard, the average English tutor in the UK will tend to charge between £20 and £40 per hour, depending on their level of experience. Once you’ve set your tutoring rates, you can think about providing discounts for block bookings, or for small groups. You could also consider whether you will charge a travel fee for students that live beyond a certain distance from you, or reduced rates if there are no travel costs involved. While it may be tempting to set low rates when you start out as a tutor, it’s important to remember that you’re likely to be limited to evening and weekend work, unless you wish to offer daytime workshops, or look for contract work in schools. When starting out as a tutor, it can be hard to know how best to market your services. If you’re looking to work in your local area, you might want to check out our post, How Can I Market Myself as a Private Tutor in my Local Area. Similarly, if you plan to tutor online, then have a read of our post 7 Steps to Effectively Market Your Tutoring Business Online. Once you’ve established your English tutoring business, students will ideally come to you. In the meantime, however, you may want to be proactive and keep an eye on tutoring jobs boards like the one we have at The Tutor Website. Moreover, in order to maximise your chances of being found in your local area through online searches, you should consider signing up to our private tutor directory. 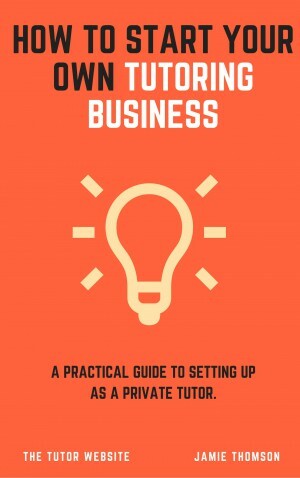 If you’d like to learn more about how to become an English tutor, you can buy our eBook ‘How to Start Your Own Tutoring Business’ for £21.99 – it’s packed full of useful advice. How Much do Private Tutors Charge? Natasha Saednejad is a French, Spanish, and ESL tutor in Surrey. 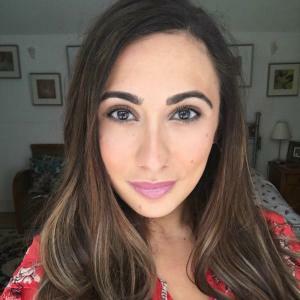 A graduate of French & Hispanic Studies from King's College London, Natasha runs her own tutoring company in Surrey, NMS Tuition.